The GameCity festival took place in Nottingham this weekend. 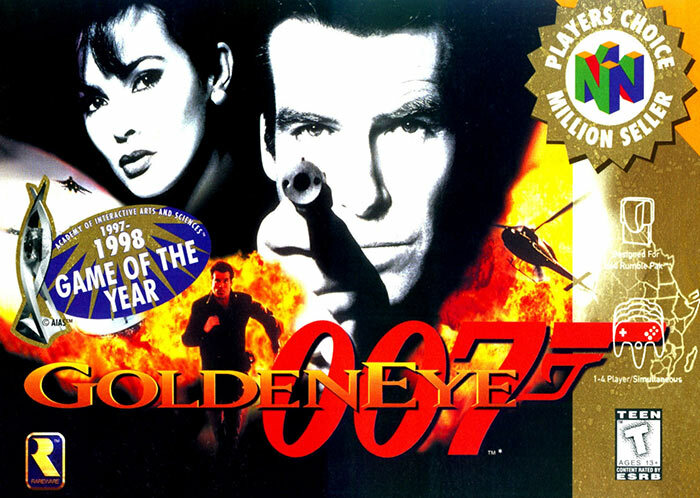 One of the more interesting talks on stage was an interview with former Rare producer Martin Hollis, who co-designed classic first-person shooter Goldeneye on Nintendo's N64 console. Late in the game's development, Mario creator Shigeru Miyamoto faxed Rare to suggest that the violence levels be toned down. 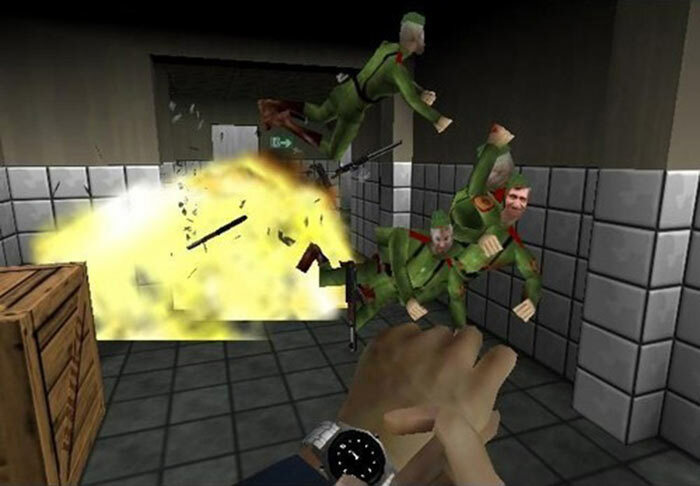 The Guardian reports that Rare had originally developed the James Bond first-person-shotter game with much more graphic violence than it ended up containing. Gore levels were toned down well before the game neared its final stages of development, as Hollis thought the blood spurts might be showing "a bit too much red". "One point was that there was too much close-up killing – he found it a bit too horrible. I don’t think I did anything with that input." "The second point was, he felt the game was too tragic, with all the killing." "He suggested that it might be nice if, at the end of the game, you got to shake hands with all your enemies in the hospital." Hollis said the development team reinterpreted the hospital suggestion as follows; a credit scene was added to the game showing the 'actors' being introduced, just like at the end of a theatre production. This addition to the game "underlined that this was artifice," rather than real killing going on, explained Hollis. Turning to more positive contributions from the Nintendo side of the relationship, Hollis admitted learning from the multiple objectives and open level designs in Nintendo games such as Mario 64 and Zelda: A Link to the Past. Hollis also revealed that Rare had declined Nintendo's offer of adapting the next Bond film for the console. Nintendo respected the simple 'no thank you' without argument. Instead Rare went on to work on the Goldeneye 'spiritual sequel' called Perfect Dark. 50 QOTW: Which games consoles do you own? I think it's safe to say I liked the reinterpretation better. Shaking hands with his defeated enemies just wouldn't have made sense for Bond, especially when you knew you had killed them in the game. It looks so dated now ! When it first came out I though it looked more realistic than sliced bread. I have to agree that having bond shaking hands with all the people he'd killed would have been weird. It looks so dated now ! When it first came out I though it looked more realistic than sliced bread. The license to kill is the entire point of being 007. It looked dated to me when it came out, then again i was used to games like Unreal and Half-Life.